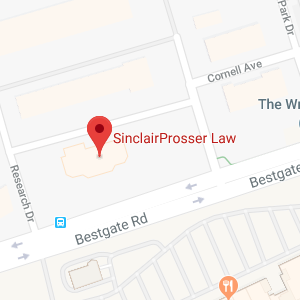 Formerly the owner and manager of SinclairProsser Law, Colleen spent two decades at the helm of a busy practice and steered her firm with a guiding hand. Colleen continues to bring a wealth of Estate Planning and Estate Administration experience to the law firm through direct involvement with the clients of SinclairProsser Law. She has served on the Board of Governors Education Committee of the American Academy of Estate Planning Attorneys, on the Board of Trustees for By Their Side, Lifelong Advocates for Marylanders with Developmental Disabilities and as a Board Member of the Community Foundation of Anne Arundel County. An established member of the American Academy of Estate Planning Attorneys, Colleen offers years of experience in estate preservation and transfer. As a strong proponent of the living trust, she also focuses on wills, powers of attorney, living wills, probate, trust administration, prenuptial agreements, nursing home planning, and special needs planning. She recommends long term care insurance and life insurance as valuable estate preservation vehicles, and strives to assure the compatibility of her clients’ estate plan and financial plan. Sensitive to the challenges presented by lifestyle and circumstance, Colleen addresses each situation with personal attention, wisdom, and skill. 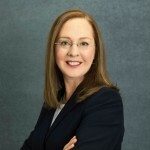 Colleen Sinclair Prosser received her Bachelor of Science degree with Academic Honors from University of Maryland, College Park in 1985, and earned a Juris Doctor degree from The Catholic University of America in 1990. As a 20+ year member of the American Academy of Estate Planning Attorneys she is required to complete 36 hours of continuing education a year. Ms. Prosser is a member of the Maryland State Bar Association, the District of Columbia Bar Association, and the Anne Arundel County Bar Association. Colleen graduated from South River High School in 1980. Married to award-winning artist Les Prosser, Jr., Colleen and Les are the proud parents of one son, Jake. Colleen was born in Washington, D.C. and is a lifetime resident of Maryland. She is the daughter of the late R. Ronald Sinclair, founder of SinclairProsser Law, LLC and executive member of the American Academy of Estate Planning Attorneys, and Maureen Mershon, partner in the Holiday Point Marina in Edgewater, Maryland. Colleen enjoys the outdoors with frequent trips to surrounding areas for biking, hiking and skiing. She is a member of the Columbia Ski Club and has a fondness for British culture cultivated by her time as an exchange student in Europe.